Airbus has launched near real-time satellite imagery capabilities together with the company's 24/7 Emergency Image Delivery Service to aid those facing emergency situations. 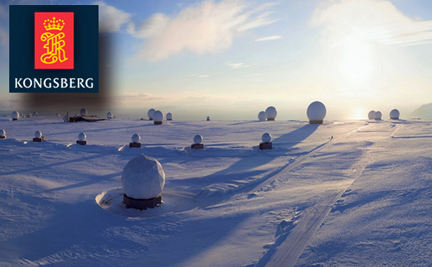 By leveraging the Kongsberg Satellite Services (KSAT) polar ground station in Svalbard, Norway, Pléiades and SPOT constellation images are now retrieved at every orbit, resulting in ultra-fast image deliveries after collection, anywhere in the world. In addition to this advanced reactivity, the 24/7 Service gives customers easy, immediate and round-the-clock access to a dedicated team of satellite experts who provide timely support in case of unplanned events. The 24/7 Emergency Image Delivery Service, relying on advanced Near-Real Time capability, was developed to answer customers’ specific requirements when facing unplanned events, geopolitical crises, natural or man-made disasters. It provides timely, reliable and accurate satellite images to assess damage and help mitigate the impact on those affected. 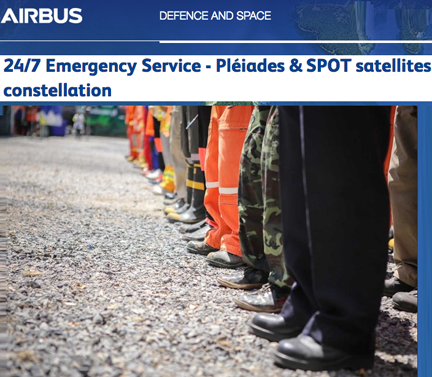 The service ensures that satellite resources, such as the wide-swath SPOT or very high-resolution Pléiades constellations, are booked with the highest tasking priority, guaranteeing accelerated access to data worldwide. The service is also designed to be flexible, providing the possibility of last-minute modifications or cancellations. With this improved performance and capability, Airbus further enhances its ability to deliver timely and accurate satellite images using its smart and complete optical and radar constellations consisting of Pléiades & SPOT 6/7 satellites, DMC Constellation as well as TerraSAR-X and TanDEM-X radar satellites. François Lombard, Head of the Intelligence Business at Airbus Defence and Space, said that when facing crises, time is critical. With the company's 24/7 Emergency Service, offering an image delivery time averaging two hours after acquisition, emergency situations can be treated with an even higher priority and our customers and partners will receive their mission critical satellite images much faster.